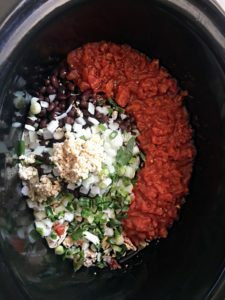 I cook my Tortilla soup in the slow cooker, much like most recipes. If you want to cook the soup on high and pre-cook the chicken, you can make this in 2 hours. Place the chicken directly in the base of the slow cooker. Add cumin, garlic powder, cayenne pepper, and chili powder. 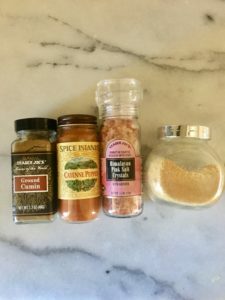 If you have a taco seasoning packet, gluten free of course, that will work but I recommend the homemade way. Place the slow cooker on high for about 2 hours. At the 2 hour time, shred the chicken. At this point, add the onion, garlic, red bell pepper, jalapeno, diced tomatoes and chicken stock. Drain the can of beans and add at this time as well. Prior to serving add in the lime juice, salt and pepper (to taste). 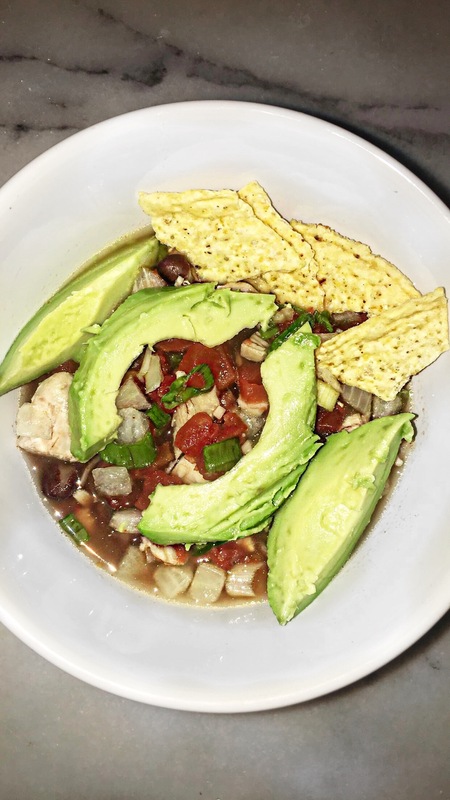 Garnish with sliced avocado, gluten free tortilla chips and cilantro. Note: If you purchase the Gluten Free tortillas, you can cut them into strips and fry them in coconut oil to make them crispy. This is a fun and delicious addition to the soup. You can use Gluten Free tortilla chips as well.